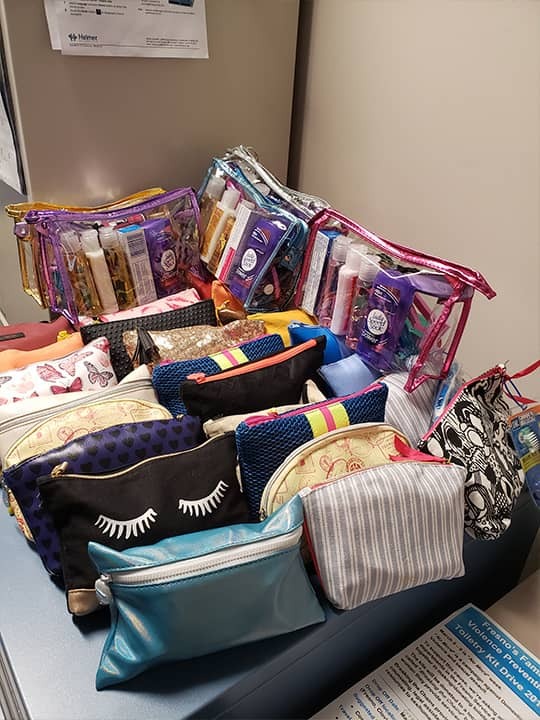 As part of the hospital’s “No More” campaign, employees of Kaiser Permanente Fresno donated and collected enough personal hygiene products to fill more than 1,000 toiletry bags for Breakings the Chains, a local nonprofit that helps human trafficking victims. Kaiser officials say that hundreds of employees took part in the drive. Breaking the Chains valued the gift at $2,500. Kristina Palmer, a therapist in Kaiser’s mental health department, enlisted her daughter Ivalinn’s 4-H club help in collecting travel-sized hair and skin products and toothpaste. The 4-H Blossom Trail Club of Clovis filled 60 toiletry bags. “We are incredibly grateful that Kaiser Permanente’s employees made this donation to help our young adult and juvenile human trafficking victims,” said Debra Rush, CEO and co-founder of Breaking the Chains. Breaking the Chains is one of about 20 government agencies and nonprofits participating in Fresno Mayor Lee Brand’s recently announced Initiative to Combat Human Trafficking. Debra_Rush_Victim_turned_advocate_20171218 from GV Wire on Vimeo.